I’ve decided to use your services. What’s next? First, thank you, now check with us to see if we have your date available. Then secure the date by having us write up a contract. We will need to know the services and times you require. Also the venue and any special needs/ requests you have. The contract will be sent to you for signature. Please return the contract along with your 30% deposit. You will also be sent a couple of DJ request forms for special songs, bridal party info and such. These forms should be returned no later than one month before your date. The balance is due on your event date. You can always add additional services or time later. The important part is to secure your date as soon as possible with a deposit. Your PLAYLIST or MUSIC CHOICE & DIRECTION REQUESTS and/or your NOT-TO-PLAY-LIST. Preference of style or genre. Bridal party entrance into the reception . (Introduction songs for bridal party) First and Parent Dances. Cake cutting song if there is one that is preferred. YOUR type of music! Our DJ's play music for all ages and genres. It really isyour choice, Top 40 Hits, 70's Disco, Country, Rock, Oldies, Latin, R & B, Hip Hop or a mix of them all. We have an UNLIMITED library of songs to choose from at all online venues (or venues with cell phone reception ! ), so if you do have a particular preference for a certain style, just let us know and we will play it for you. Most of the time it depends on what your guests, young and/or old want to dance to. Can we bring CD’s from home for you to play? Sure,Regular CD’s or MP3’s are welcome. Be sure to make a note of the number of your favorite track or song you would like played. How much control do I have over the music? Complete control, with professional assistance from my side. Do you act as the Master of Ceremony? Yes, I’m very comfortable in the role of an MC . I have 23 years experience working with audiences from around the world. Normally a table is provided by the venue in an area next to the dance floor for DJ set up. Generally,no additional space is required. A video screen or Karaoke set up would require extra space. Does the Best Man or Maid of Honor come over to you to make their toasts? No,not at all. We provide a wireless microphone for all speeches. Whomever is making the speech is free to stand wherever they are comfortable. State-of-the-art equipment. The best available sound on the market today. See our Services page for more information. Will you assist with the coordination of the reception? Yes, I will assist with the flow and keeping everything on time, as it is scheduled. If you are not working with a wedding planner I can provide you with a "typical" schedule that can be customised for your needs. What if we decide to keep the party going later? No problem at all, provided we comply with hotel/venue policies. Additional hours are easily accommodated and can be paid for at the time. Does your company have a backup DJ and equipment? Yes, we have two complete DJ systems, so no chance of anything going wrong there, we work closely with other highly recommended DJ’s in town and will ensure you are well taken care of in the unlikely event of a "DJ emergency"
How long in advance should I book your services? As soon as you decide on a DJ you should reserve your date. 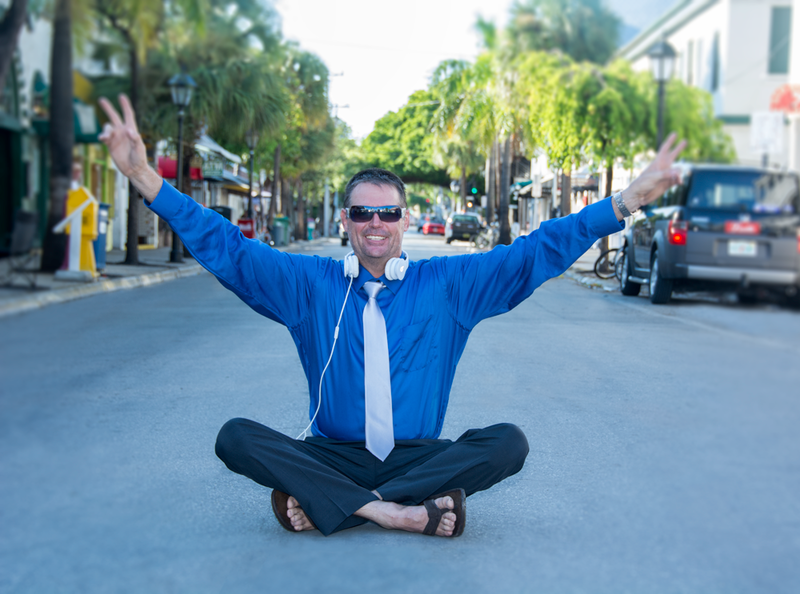 Key West is a hot-spot for weddings and good DJ’s are in high demand. The sooner you book and reserve your date the better your chances are of getting the right DJ for your party. How do you decide what music to play at our event? I watch everyone to see what they are enjoying at any time. I mix the music that you may have requested into what I feel will make your wedding guests happy and get them dancing. I will probably have it in my Music Library already, if not, in most venues I can download any songs immediately. Will you bring a microphone? Yes, and an additional wireless mic for speeches within the venue. For Ceremonies I also provide a wireless Lapel Mic for the Officiant. Yes. Specialty lighting that turns a hum-drum reception hall into the latest nightclub. Three multi beam FX effects lights are included in the price. That option is available for an additional fee. Normally, it's not brought to every event, so it needs to be asked for and reserved in advance. Thetype of parties where everyone dances all night long to their favorite music, and remembers what a great time they had forever! In accordance with your venue, event or theme. Yes, unless you have a special someone designated to be your MC (it happens sometimes...) I make all of the announcements and act as MC for your event. 30% deposit of total amount to be included with contract to secure your date, balance is due on your date and can be paid for by personal check (made to Kevin Wright) at the time of your event. If you wish to have it all taken care of before hand we can do that too. I also accept Paypal payments. Does the DJ take breaks? We may take a walk to get a soda, but never stop the music. Do you provide a written contract or agreement? Yes I do. All important details are spelled out in an easy to read contract so that both partieshave full understanding of the agreement being entered into and we have all necessary information to make your event a huge success. Experience, passion, commitment, style and equipment. In a world where downloaded music and cheaply produced audio gear has become common, so had the misconception that anyone with a lot of music and a sound system can provide adequate services. Music and audio gear, though important, are merely tools, and the tools alone do not level the playing filed. In any profession, knowledge is king and a great deal of the knowledge possessed by top-notch professionals is derived from real world experience and performances. Knowing what to do, how to do it, and just as importantly what not to do is what truly sets one DJ apart from the next. Style, voice, manner, those things. My passion and commitment are part of who I am, and if I didn't have the experience to back it up, I could not fully utilize these traits. 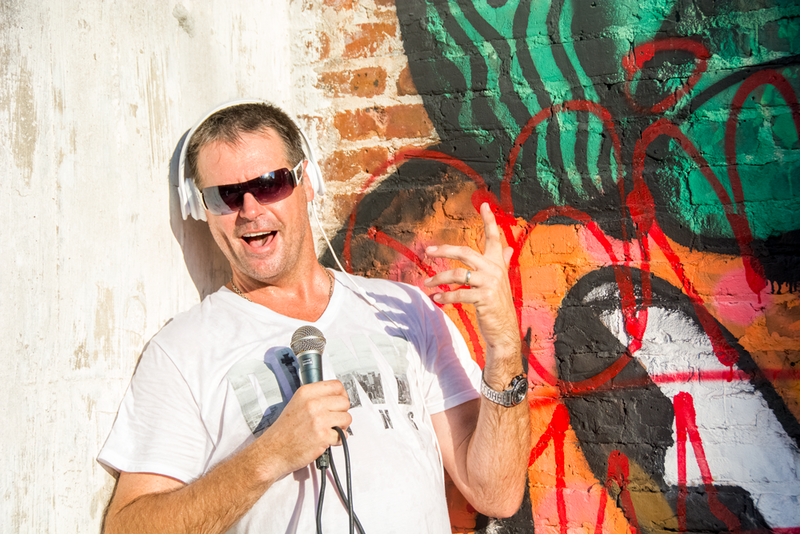 My clients get my full attention all night, and the peace of mind that comes from knowing they are in the competent hands of an easy going but extremely professional DJ who truly loves what he does. And as so many happy couples will tell you, “It shows”. "Music is our soul sound"